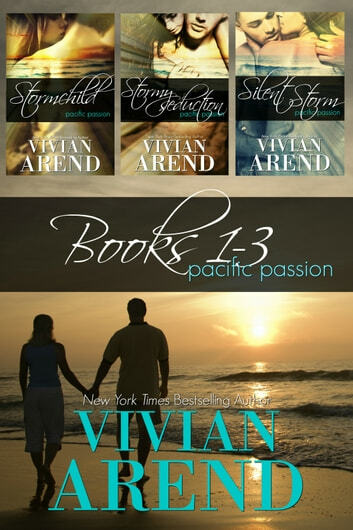 Enjoy all three Pacific Passion stories in one bundle! Somewhere between the ocean depths and the mountaintops, there's a love strong enough to call them both home. Traveling doctor and shaman Matthew Jentry has his hands full curing for his water-shifter clan. There's something far too enticing, though, about mysterious Laurin Marshall. Before Laurin and Matt can begin to explore their mystical bond, the People of the Air challenge her right to choose a water shfiter as her mate. Fending off Laurin's would-be suitors is easy for Matt. 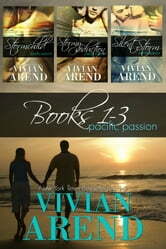 But what will happen when she encounters his playful, lusty Otter clan? Especially since they'll be the main attraction at the solstice fertility ritual. Despite their deepening emotional connection, Laurin still wonders how she and Matt can find permanent common ground. Matt waits patiently for Laurin. He has no desire to change her sky-borne nature. Until a giant golden eagle touches down on the Stormchild and tips the delicate balance of more than just the boat.